Currently Clan MacMillan International (CMI) doesn't have an official Facebook page. However, some Clan branches and societies do and there is a popular private page to which hundreds of MacMillans belong. Facebook pages of those branches which have them are listed below. This Facebook page was created by Leith McMillan which has a considerable following among M'Millans, over 1,700 at last count. This is not directly affiliated with CMI, so CMI bears no responsibility for content. Clan MacMillan's largest branch has a geographical area from the Mason-Dixon Line south to Florida, and from the east coast of the USA to the Mississippi River. See their Facebook page. This branch includes Minnesota, Wisconsin, Iowa, Illinois, Missouri, and the Dakotas. This branch has both a dedicated website and a Facebook page. The former lists upcoming events and an overview of the branch. The most current updates regarding Clan MacMillan Society of Texas can be found on their Facebook page. 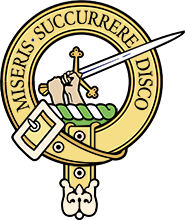 California's branch of Clan MacMillan has a Facebook page. Clan MacMillan International does not oversee, administer to or bear any responsibility for the content of the Facebook pages listed on this page.